There are many conditions in Trichology where further tests are required, a serum blood test is an excellent reliable source of information that relates to various parts of the patient’s health. Either your GP, a private clinic or indeed Shuna Hammocks as a qualified and insured phlebotomist can extract your blood to send for analysis. In most cases, the results are available within the week and your Trichologist can both interpret and advise on which supplements are needed to achieve optimum hair growth. An example of the tests requested would be Ferritin, B12, Zinc, Vitamin D, C’reactive protein, Thyroid profile and various hormonal analogues. The reference ranges are always required as the trichologist needs to assess where on the given range your results set as the required levels of general health are different to that of hair. This is why far too often doctors report the tests carried out are “normal”. Sussex Trichology will explain this and any other requirements. 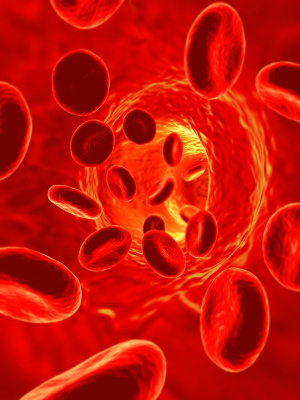 Iron Deficiency Anaemia is caused by lowered numbers of circulating red blood cells (haemoglobin). It usually occurs if your diet lacks iron rich foods, or you aren’t absorbing it correctly. Other causes of anaemia could be the loss of blood, illness and pregnancy. Many of the women who attend Sussex Trichology for hair loss treatment have some degree of anaemia. If you’re losing your hair, or notice it isn’t growing at the rate or to the length it used to, we suggest you have your Ferritin tested as both of these can be symptoms of anaemia. Iron levels should be assessed by checking your blood, a test should include: Serum Iron; TIBC (Total Iron Binding Capacity); Transferrin Saturation and Ferritin. Ferritin is a type of protein in which the body stores iron. It’s found in every cell in your body and is essential for healthy hair.Therefore good levels are important in the prevention of anaemia. Correct ferritin levels also maximize your hair’s ‘anagen’ or ‘growing’ phase and encourage your hairs to grow to their full length. When you aren’t getting enough iron through your diet, your body takes ferritin stored in non-essential tissue, like your hair bulb, and gives it to essential tissue, such as your heart. Because your hair bulb is where all your hair cells are produced, this removal of ferritin can cause your hair to shed before it reaches its maximum length. This can even occur if your haemoglobin level is normal. Ferritin can also be too high, and cause a condition known as haemochromatosis, where your body produces excess iron which can affect your liver and heart. Ferritin levels are rarely tested, even when your iron levels are tested. If you notice excessive hair loss, ask your GP or trichologist to check them. However, it’s important to note that optimum ferritin levels for your hair are higher than those considered acceptable for your body. Again, this is down to your hair is a non-essential tissue. This means that your GP may not notice a ferritin reading that can cause hair loss. The average reference ranges for ferritin are 14-170 micrograms per litre, but our research shows that ferritin should be at least 80 ug/L (micrograms per litre) in women for hair follicles to function at their best. If your ferritin is low or under 80 ug/L, your doctor or trichologist can prescribe a supplement.